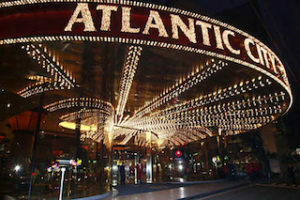 Did you know that Atlantic City plays an important role in the recent history of US casino gambling? In 1976, New Jersey voters decided to approve casino gambling in a referendum. This was at a time when gambling on the east coast was hard to find and the aim was to make Atlantic City the Las Vegas of the east. The referendum was a success and AC has become the second most popular gambling destination in the US after Las Vegas for roulette and other games. Atlantic City was the first place where you could find European style single zero roulette in the US, however, this changed when many casinos, particularly in Las Vegas, started offering this game. Below, you will find all the necessary information about the best casinos to play roulette in Atlantic City. 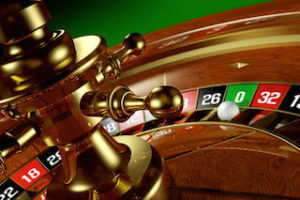 On this site, we explain the differences between American and European roulette and how you should always choose to play the European version of the game due to the smaller house edge. However, in Atlantic City, you should discard this advice. This is because if you make a standard bet on an American wheel and the ball lands in either the 0 or the 00 slot, you’ll receive half your stake back. This means that the house edge on this version of American roulette is only 2.63% as opposed to 5.26% on the standard American game. When you compare this to the 2.70% house edge for European roulette you are gaining a better deal by playing the American variation of roulette. If you have ever wondered how to play roulette in Atlantic City you give a list of the best casinos to play roulette for real money you can find in the gambling mecca of the east coast. This casino has incredible seventeen roulette tables including one where you can play European roulette, which is more than you’ll find at many Las Vegas casinos. Alongside the roulette, you’ll also find a great number of table games, including multiple varieties of baccarat, casino poker and blackjack. You’ll find a great range of slots here as well, including poker, reel, and video slots. At Bally’s casino, you’ll be able to enjoy rapid roulette at your own betting terminal alongside the more traditional games with a dealer and a wheel. You’ll also find a great variety of other table games alongside the slots, which feature some of Asia’s newest games. You’ll be able to enjoy live dealer roulette at the Golden Nugget casino. The 65,000 square feet casino floor offers blackjack, mini-baccarat, and craps alongside the roulette with many varieties of poker available here also. Harrah’s Resort in Atlantic City offers the chance to play rapid roulette at your own high-tech personal betting terminal. This casino specializes in slots, with over 3,800 of the latest slots and video reel games and video poker. The Tropicana casino offers roulette alongside a great variety of Asian style table games. The casino has won awards for its offering of slots, with a great mix of classic games and the best new games you’ll find. The final place you’ll be able to enjoy roulette in Atlantic City is at the Trump Taj Mahal. Roulette can be played as part of the 177 table game offerings, the casino featuring an exquisite baccarat pit. You’ll also find over 2,500 slots here and a poker room which plays host to the United States Poker Championship. 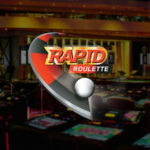 Rapid roulette is just like ordinary roulette, except you have your own private betting terminal. This means there are no real casino chips so you don’t need to ask the live dealer to change money. This is obviously more comfortable for the players. It also benefits the casino because they can have more people betting at the same time. If you are looking for casinos in Atlantic City that offer rapid roulette Bally’s Casino as well as Harrah’s Resort Casino are the two best rapid roulette locations in AC. The live dealers are found to be generally friendly in Atlantic City, although they will be friendlier if you are a good tipper. Tipping the dealer after that big win is never a bad idea, and will make your casino experience more enjoyable. You’ll receive complimentary drinks also which is a nice bonus. You could take a stroll along the world-famous Boardwalk featuring the many amusement arcades and eateries. The newly restored Absecon lighthouse is a popular trip for many sightseers. Atlantic City is famous for its several golf courses with many traveling from all over the world to enjoy a round. You’ll also find some great local beaches for all of the family, alongside a great amount of water-based activities including parasailing and tall ship cruises.